A Bride On A Budget received these lotions for this review. All thoughts an opinions belong to ABOAB. 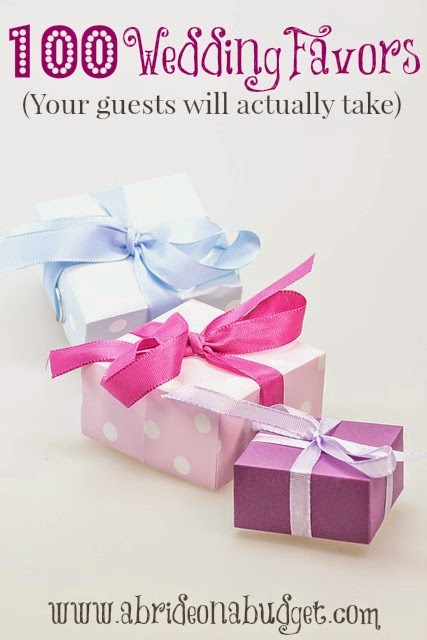 It was a long time ago when I asked for suggestions for your top wedding welcome bag ideas. 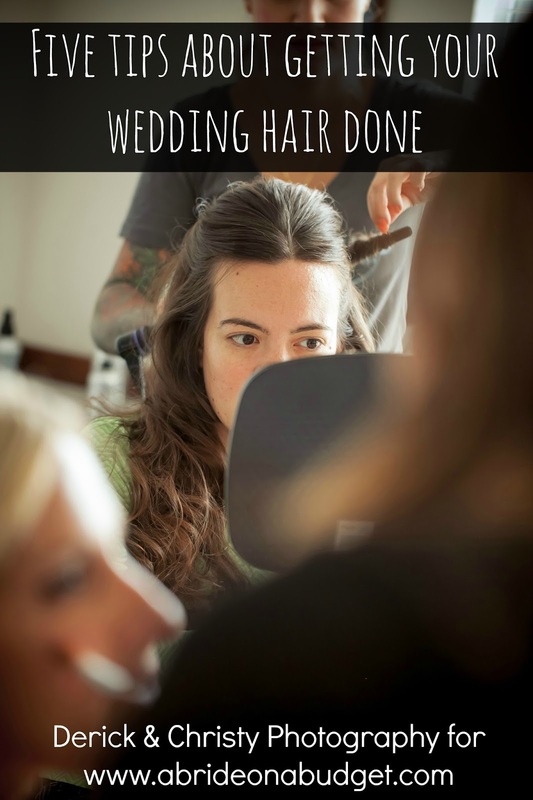 We actually had a full #BridalBabble chat about it. My family friend Heidi suggested lotions. It made sense. Her daughter Mallory got married in Washington two summers ago and she had lotions inside of her welcome bags. She had homemade jam and tourist brochures and chips and water (at least, I think she had water), but I really remember the lotions she added. The one I got was "Paris" with a photo of an Eiffel tower on it. It was super cute and gave off that vacation vibe (and we were on vacation, as was everyone else who she gave welcome bags to, so it was fitting). But the way I am, I want everything to be really special and personalized to us. I didn't find any stores selling North Carolina-shaped lotions or something similar, so I really wasn't sure what to do. And then I found out Udderly Smooth creates personalized lotion labels (and we got the chance to review these very cool lotions). If you don't know, Udderly Smooth is a lotion company. The lotions were originally created and used for dairy cows, hence the name. The products are now used on humans, primarily for dry or chapped skin. The brand has products for dry skin, dry feet, hand and body, and for cyclists. You can check out the full product line here. 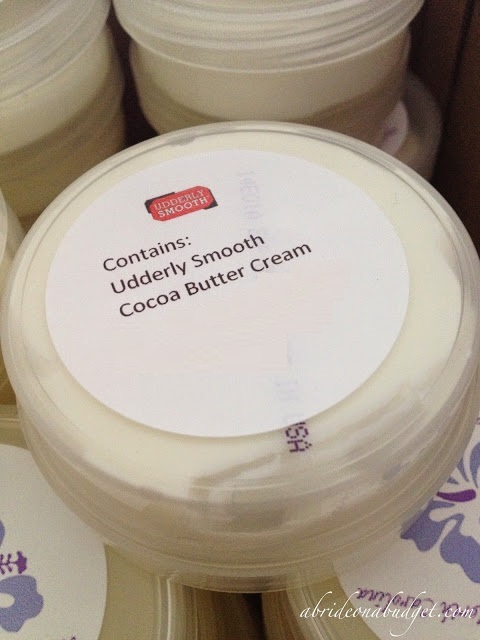 We actually have a bunch of Udderly Smooth products in our home and I've given them away as gifts before too. They're quality products that I feel comfortable sharing with other people. Traditionally, the lotions are all bottled in cow-print bottles. I thought that these personalized lotions might come with a similar bottle, which might confuse my guests since this is a beach wedding not a farm wedding. When I was talking to Udderly Smooth about these lotions, I was asked about our wedding colors, an image, and text for the lotions. Our colors are eggplant, lilac, and silver, and I picked a Hawaiian flower, since those are on our invitations. I asked my friend Kimie to help me come up with a witty saying, but everything that we could think up with lotion was either one) really long and wouldn't fit on the labels or two) really inappropriate. It was a lot harder than I thought (that's what she said -- see, you see how easy that is? That's why this is difficult!). I came up with ones like, "Hope you had a smooth trip", but it just wasn't perfect. So I brought my mom into the mix and she couldn't come up with anything witty. So "Welcome to North Carolina" won. Witty? Maybe not, but it captures the sentiment. Before they were printed, I was able to review the labels that were going on the lotions. I really liked how they came out. They were perfect for our theme and exactly what I was thinking they would be. But all I saw were the labels. I wasn't sure if the cow print was going to be anywhere (especially since I associate the cow print with the brand). 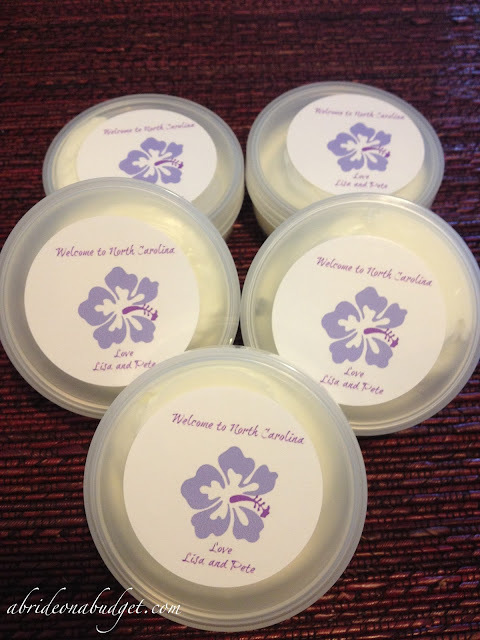 The lotions arrived in clear, round, plastic containers that hold 2.5 ounces of cocoa butter cream, making them airplane friendly (which is really important since I'm giving these to people who are traveling). And no cow print anywhere. The label that I had previewed was on the front of the containers and a label on the back has "Contains: Udderly Smooth Cocoa Butter Cream" on the back. I was happy to see those stickers because it meant that our guests would know exactly what was inside (and wouldn't mistake it for something edible) and because they were already there. Let's be honest. There's so much busy work to do when it comes to weddings, so I was really happy to not have to affix any labels myself. The lotions are lightly-fragranced and untinted. I like that they are white because it doesn't clash with the colors on the labels. The lotions have a really nice thickness to them. They aren't a very loose lotion, which is good because I hate really thin lotions. The lotions go on smooth (for lack of a better word). It moisturizes your skin, but it doesn't leave a heavy residue behind. That's really important because summers in North Carolina are really, really warm and a thick lotion with a residue just won't work. I was so impressed when the lotions came. They were so cute and will be absolutely perfect for our wedding welcome bags. You can use these for favors, for bathroom baskets, for thank yous, or, like me, as an item in the welcome bag. No matter when you give them to your guests, they will absolutely love them. I'm really excited to give these to our guests. 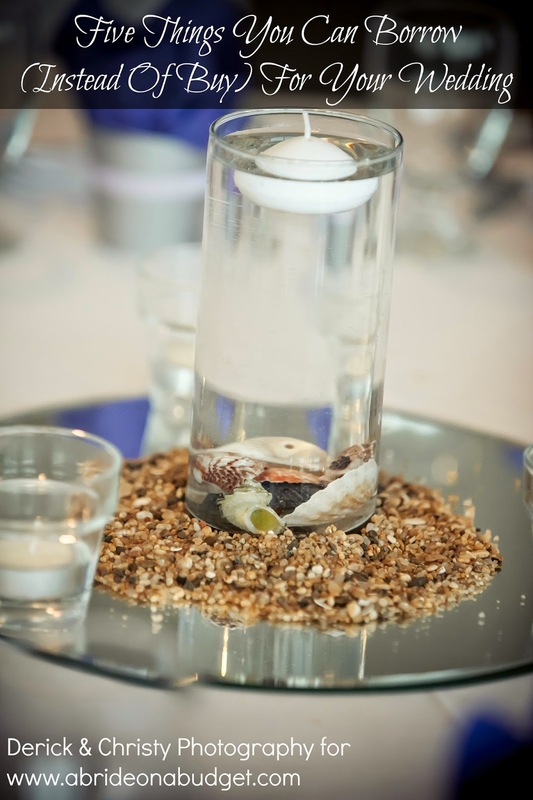 BRIDAL BABBLE: Can you think of something witty to write on these? What would you write (or would you just keep it simple)? I love this idea! 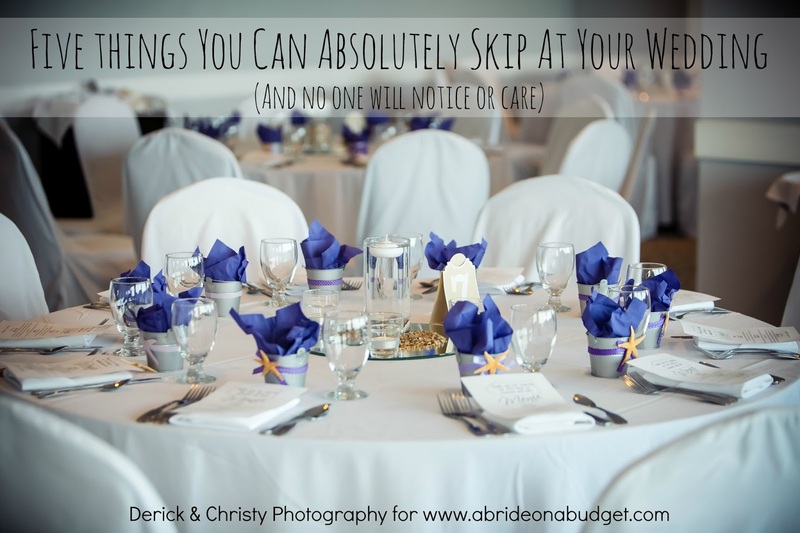 And I think your wedding guests will love it, too. I didn't know that Udderly Smooth did this, but it's good to know! Really nice!! I didn't know they did this either but it turned out super. Looks professional too. 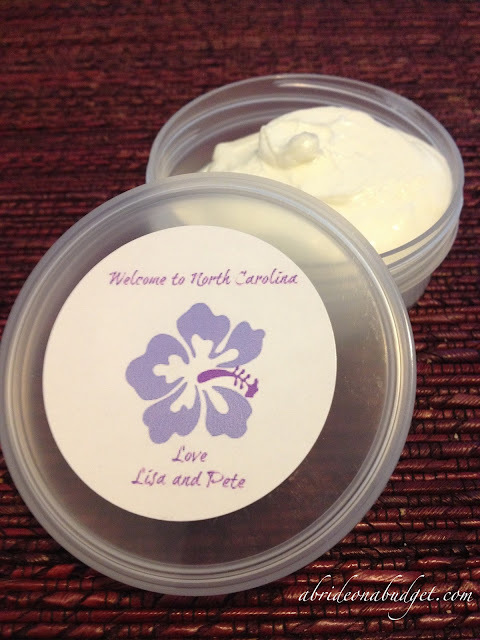 What a great idea both to have lotions in your welcome bags and to make them personal. If I were a guest I would love that! I also wasn't aware that Udderly Smooth did that..I really love it the idea. What a great, usable favor. I honestly couldn't think of anything witty either..who about silky smooth skin for you..okay that's not witty either.